What does a Cinema-Rasik do? Look at global issues with the lens of a Cinema Director. When you do so, you get a totally different view. That is what we try to do below in looking at the crazy, dramatic events of this week. To do so, we look at the absolute reality of this decade and look back to the last time this happened – 1930s. 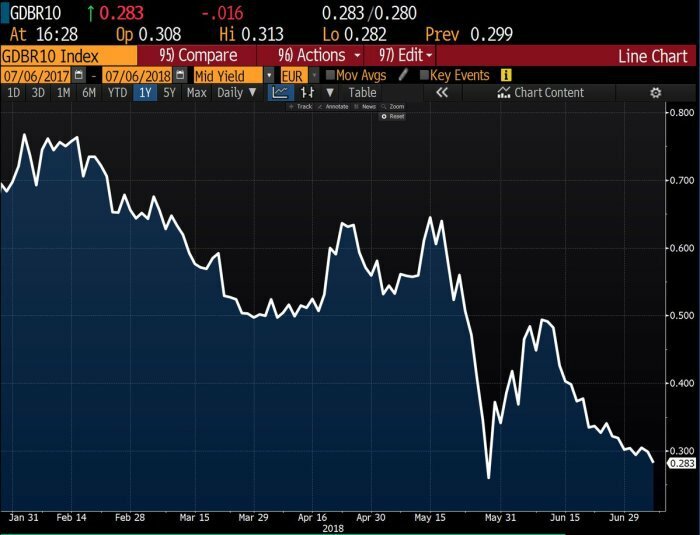 jeroen blokland‏Verified account@jsblokland – #Germany‘s 10-year bond #yield has fallen from almost 0.80% to less than 0.30% since February. What you see is utter futility. Despite heroic efforts of Central Bankers around the world, especially Europe’s Mario Draghi, inflation refuses to go up; instead it keeps sliding down. And it keep dragging America’s inflation down as well. Just a few weeks ago, US 30-year interest rates were threatening to go up beyond 3.22%, that magical line in charts which if crossed was to lead to 4%, 5% or even 6% interest rates in America. But what happened in reality? As German rates fell, US rates fell and the US 30-year rate broke below 3% instead of marching to 4%. This is despite the US economy striding high above all others. This is the contagion we wrote about in 2014 & 2015. It has shown up in political upheaval in Europe & America. Central Bankers have tried to cure it massive QE-chemotherapy. But, like cancer, the contagion remains dormant during treatment & then resurrects itself. Just look at German 10-year interest rate falling to 0.28% or 28 basis points this week, even lower than the July 6 graph above. Ask yourselves – when was the last time we saw such a steady, quagmire-like fall in inflation? In the 1930s. Perhaps it was due to the excesses of late 1920s on Wall Street; perhaps it was due to Hitler rising in Germany & destroying the disastrous inflation of the Weimar era; perhaps it was the rise of Imperial Japan trying to expand in Southeast Asia/Pacific and trying to hog commodities. No matter what President Roosevelt tried, inflation refused to rise and deflation kept getting entrenched. When did inflation get reborn & with it wages, salaries & real growth? What change drove that resurgence? It took a complete change in the world order of the 1930s. It required regime change in Nazi Germany and in Imperial Japan. It caused massive damage to the world but led to a rebirth of the global economy in the late 1940s. It led to the creation of institutions that guaranteed the safety of Europe against the new big threat – Soviet Union. Old enemies became allies to fight the new bear-sized enemy. Is that world order about to change? Or did it change already and we didn’t notice that? It is a sad fact that human beings have not changed since the beginning of our species. It is even a sadder fact that societies tend to behave the same way. Societies are formed by Geography and shaped by their history in which Geography plays a big part. When world leaders forget that, they bring the past into present and create a grave danger for the future. That happened on October 3, 1990 with the reunification of Germany. Look back a few centuries and you will see a United Germany always dominates Europe and ends up creating massive damage. But Senior President Bush either did not see that or ignored it in the glow of an eventual victory over the Soviet Union. One year later, the Soviet Union ceased to exist on December 31, 1991. It splintered into multiple states, all powerless to challenge America. The glow of that victory was so bright and the joy was so great that Senior President Bush did not pause to reflect on the future. Senior President Bush did not see that the post World War II order in Europe had ended and Europe was going back into the past – the past in which a reunited Germany was once again the dominant European power. He did not see that NATO and other US created European Institutions had to be re-oriented to stopping reunited Germany from dominating Europe. That, in our opinion, was the biggest foreign policy blunder of Senior President Bush. We can’t blame him too much because all of America was radiant with pride, happiness & sheer glee about vanquishing the Soviet Union. He needed a new young Kissinger-like advisor to undertake a new mammoth task of re-orienting Europe. He didn’t have one. He was succeeded by President Clinton who saw no need to spend any time or effort thinking about the future of Europe or European institutions. Germany did take almost a decade to recover from the economic shock of merging East Germany in to West Germany. But they succeeded and that changed Europe & America’s future role in Europe. Remember 1999, the year we all associate with the enormous tech-telecom bubble in America and the world? But that was NOT the really momentous event of that year or of the decade that followed. Because the future of Europe changed on January 1, 1999 and, with it, the future of America’s relationship with Europe. That was the day Europe launched the Euro currency. That was the end of post World War II European order and the emergence of Germany as the boss of Europe. It took another decade but it was written. Look at Europe today and see how Germany has captured both the wealth of Europe and the jobs of Europeans into Germany. No European country, not even Italy- the 3rd largest economy in EU, can even contemplate leaving the Euro. The financial turmoil would be too devastating in the short term. That brings us to today and the only power that can force a “regime change’ in Germany. But before we get to that, look what happened within 3 years of the launch of the Euro. On December 11, 2001, President George W. Bush allowed China to enter the World Trade organization (WTO). We all know what happened to the Chinese Economy, World Trade & the devastation of America’s blue collar industrial worker class since China entered the WTO. It took 15 years but that finally made Donald Trump, the President of America. President Trump shook up NATO and EU this past week, didn’t he? Nobody had experienced a NATO meeting like this. ian bremmer‏Verified account @ianbremmer Jul 11 – Current state of the transatlantic alliance, summarized. 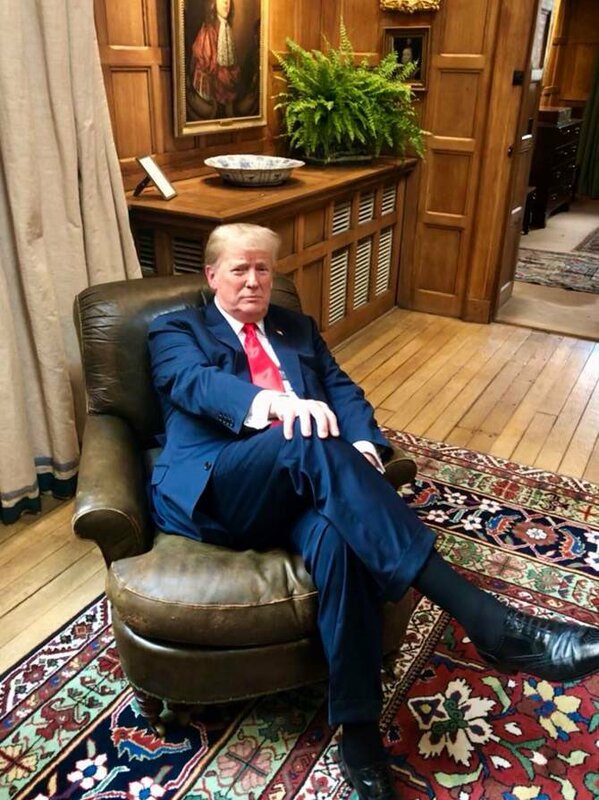 President Trump understands that Germany’s mercantile regime is the root cause of the malaise in Europe and the deflationary condition in the world. He knows that European economies will not get freedom without a fundamental change in Germany’s economic regime. And, as a corollary, what he is doing to change America’s economy will not succeed in the long term unless Germany’s mercantile regime is fundamentally altered. This is a hard point to make. So President Trump chose a misdirection play. Donald J. Trump‏Verified account @realDonaldTrump – Presidents have been trying unsuccessfully for years to get Germany and other rich NATO Nations to pay more toward their protection from Russia. They pay only a fraction of their cost. The U.S. pays tens of Billions of Dollars too much to subsidize Europe, and loses Big on Trade! So easy to understand and so true, right? Rich Germany, despite its huge surplus, takes billions from America for America to “protect” Germany from Russia whom Germany pays with America’s money for Russian gas. This is so much bigger in scale than NaPakistan which takes a paltry 1.5 billion from America to fight “terror” and transfers part of that money to Taleban to commit terrorism against US troops. What a piker is NaPakistan, right? Merkel knows she is in a fight for her survival and for Germany’s “lets plunder from Europe & the World” mercantile regime. And her hand is weakened by her stupidity in forcing Germany to accept huge numbers of Muslim immigrants. President Trump is basically saying to EU, get an economic regime change in Germany or forget US largesse for NATO. And Europe knows there is NO EU without NATO. America can create a new, flexible nouveau NATO with Poland, Eastern Europe, Italy, Greece et al. Such a noveau NATO will signal the end of the Euro currency. Unfortunately, the one ally President Trump needs, the historical balancer of power in Europe, is not on his side. His hand against Merkel would be so much stronger if UK were on his side. He could then do a trade deal with UK which can be expanded to include Eastern Europe and possibly Italy. That could lead to a regime change within EU that he desires. Unfortunately, he has a lame & stupidly pathetic Theresa May as UK prime minister. No wonder, he is so frustrated. President Trump is being very very clear. If Britain wants to keep its “special relationship” with the US, they have to work with him to change the mercantile regime of Germany & EU. That brings us to Russia, the country President Trump wants to readmit to what is now G7, the bloc of developed economies. Look at today’s world & see how similar this period is to the 1930s – Germany is as dominant today as Nazi Germany was then. Britain is as weak with May as Britain was with Chamberlain in 1930s. France seems strong today as France seemed before World War II started. Actually Macron’s France is far weaker today and clings to Merkel’s skirt, mainly in pursuit of Macron’s dreams of making the rest of Europe pay for France. Look to the Pacific and you see China, the new mercantile & military power with designs on Southern Pacific & Eastern Indian Ocean. This China is even stronger than Japan 1930s in some way and weaker in others. FDR realized in the 1930s that Germany was a greater threat than Japan and that US could deal with Japan singlehandedly once Hitler’s Germany was defeated. 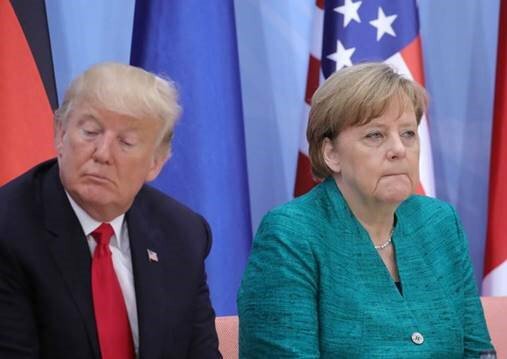 President Trump realizes today that Merkel’s mercantile regime in Germany-EU is a greater threat than China and that US can singlehandedly deal with China’s mercantile trade policies once Merkel’s mercantile regime is defeated and replaced by a free pan-European economic regime. Now think of the one factor that is different today. Think back to 1930s and think how different it would have been in the Pacific had Stalin’s Russia been an ally of Imperial Japan instead of an enemy. Think how much easier it was for the Allies to vanquish Hitler’s Germany with Stalin’s Russia attacking Germany from the East. FDR did not like Stalin and he had no illusions about Stalin. But he understood that he needed Stalin’s Russia on his side and not on the side of Germany & Japan. That is exactly how President Trump views Putin’s Russia, we think. He doesn’t think Russia as a friend or as an enemy for ever. Russia & America together can dominate the world’s energy prices, especially given President Trump’s relationship with MBS, Saudi Crown Prince. Russia can also be very helpful to President Trump is forcing Germany-EU to change their mercantile trade regime. And President Trump does not want Russia so pressured that it is forced to be a vassal like ally of China. If Russia were to unite with China’s objectives, if Russia were to solve China’s energy problem, if Russia were forced to deliver its sophisticated military technologies to China, it would make China a far more powerful & deadly military-economic adversary, an adversary that could extend its sway over the enormous Eurasian land mass. Such a China could then work with Germany to create a new mercantile trade order that benefits both China & Germany and impoverishes other countries & regions. This is unlikely in our view but no one can foretell what could happen if America stupidly forces Russia to join with China on China’s terms. And there is one area where Trump’s America is much weaker than FDR’s America. Look back to FDR’s America. It was an emerging industrial giant but not a global military power. The US military was resting at home instead of being distributed around the world. So it could build and become a globally powerful military as its industrial machine began humming. As a corollary, it is important for the United States to extricate itself from situations where its presence is not overridingly critical & from situations where an ally-partner can fulfill the same objectives. Take Syria for example. The Assad regime is on its way to assert control over virtually all of Syria. That makes the Assad regime more stable but that also raises the stakes for Assad himself. Having won the civil war, he doesn’t want to lose his seat now & perhaps his head. That makes him more interested in not making Israel his enemy and less interested in obeying Iran. Syria is a situation where Israel can manage Assad & America can wind down its commitment. But that would require Russian willingness to play along & let America leave. Both Russia & America know that both have to wind down in Syria as a win-win deal and that requires Israel to serve both their interests in Syria. It seems Netanyahu & Putin have already come to such an agreement this week. America would also be unable to extricate itself from other military situations without at least an understanding with Russia. That doesn’t require friendship with Putin’s Russia, simply an understanding. Such an understanding is the basis of Monday’s Trump-Putin summit, a summit we think is far more likely to succeed modestly than fail. Because modest success serves today’s tactical interests of both US & Russia. Isn’t the best time to make a deal the time before the other side becomes totally comfortable with its own position? That brings Trump-Putin to Helsinki on Monday. But what about the indictments of 12 Russian agents announced on Friday by the US Department of Justice? ian bremmer‏Verified account @ianbremmer – On the one hand: Top item of Trump-Putin Summit needs to be extradition of 12 indicted Russian spies involved in election hacking. On the other: Impossible to imagine either leader cares. There’s never been a Summit quite like this. “The U.S. strategy to deal with Russia will remain inextricably linked to how it manages a balance of power on the European continent, however”. And, unlike in the 1930s, that “balance of power” has to be balanced via economics and trade. 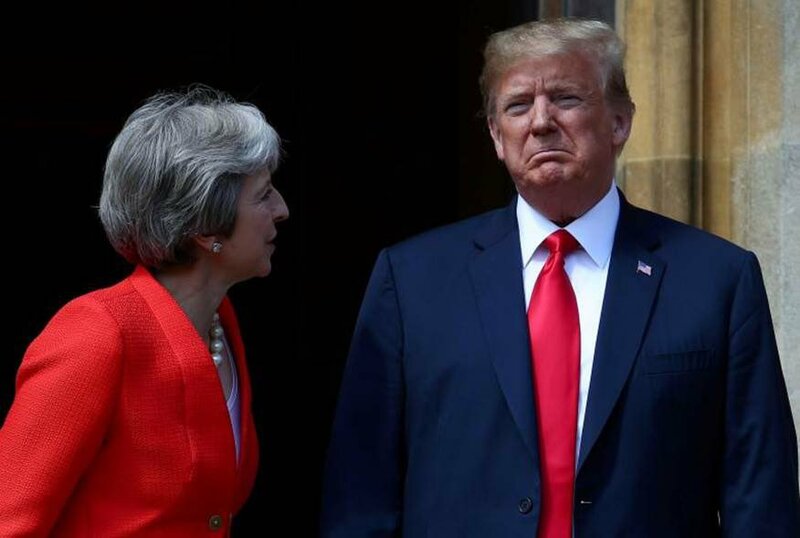 Ergo, President Trump has to fight Germany and keep UK on his side. Doesn’t this explain his behavior in Brussels & UK this week? And doesn’t every fighter use weapons he has mastered but which his opponents can’t handle? President Trump uses deliberate incoherence as a tactical weapon against opponents used to dealing with coherence in diplomacy. And he enhances this deliberate incoherence via public comments & tweets that become devastatingly effective weapons to mold public opinion and reduce his opponents to tears & shame. Clearly he relishes it and his opponents can’t handle it. The point is there is studied fundamental long term strategy to the theater we all saw this week, strategy which, if successful, can make remake the world with economics & trade just as FDR remade the world with war. Then, finally, interest rates can start rising as real, productive growth returns to the world economy. Editor’s PS: If you think we are getting addicted to using tweets of Ian Bremmer, you may be right. No one else has mastered the art of saying so much with so few words via photos.